Honestly, I didn’t think that my motivation would last long, but when I get freaked out about other things, I usually sew to get my head back on straight. Or, for the joy of finishing a project so that I can tidy up The Room of Re*Creation / The Tower / My Sweatshop. In this case, I’m freaked out about the fast-approaching Art of the Belly weekend. At this point, I’m trying to understand why I haven’t been dancing in my “free” time to prepare my body for 48 hours of abuse. But, this is a crafting blog, not a dancing blog, so back to business. For this month, I finished the eyelets for my working class bodice. It was quicker than I thought once I popped in Helen Mirren’s version of Elizabeth I. The miniseries (I guess) was very good, and my eyelets were–meh–okay. I really need to practice more handsewing, and I might have a project for a friend in mind to help. That concludes work on the ensemble for the time being. I’m going to update that journal soon. Before its first trip out, I’ll do the hem and add a guard. Project two was an [Android] tablet pouch for a friend. He needed something simple that would provide easy access and protect the screen. I made a basic sleeve in black corduroy, interlined with InnerFuse, and lined with coordinating broadcloth. It closes with a strip of velcro, and I serged the edges with purple thread, so it’s both functional and cute. Sorry, no pictures–I forgot. 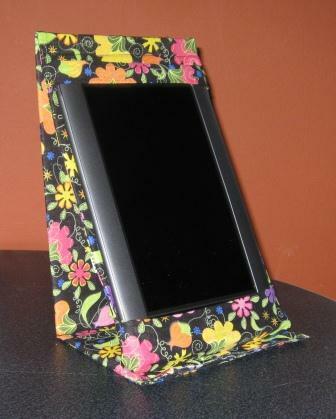 The third project was also quickie–a cover for my new Nook Color. First off, I love it. Second, I’ve already read way more in the last two weeks than I have in the last two months. To be fair, I have to take “mommy breaks” during the day, so reading is ideal over staring at a blank wall. For the cover, I modified the ChicaAndJo Kindle cover instructions to fit my Nook, adding a strap at the top, and a glue strip on the flap to stop it from hitting the floor. I also cut it down to the reader’s size, ignoring the C&J measurement system, which makes these covers wa[aaaaaaaaaa]y too big for non-Kindle devices. The only snag was that I ran out of the sturdy cardboard that I used on the last e-reader cover, so I used the next thickness down that I had on hand. Unfortunately, the Nook is heavier than every other reader, so I’m going to have to replace the cardboard one day soon to avoid any heart-breaking accidents. As of yesterday, my fourth project, the bridal scarf, is complete. It is a length of white chiffon, serged at the edges. By itself, it’s quite pretty because it’s simple. With the gown that my friend will be wearing, it will be beautiful on her. I’m excited to see her all dolled up! I’m not posting a picture since it’s for her wedding, but I promise, the scarf exists. 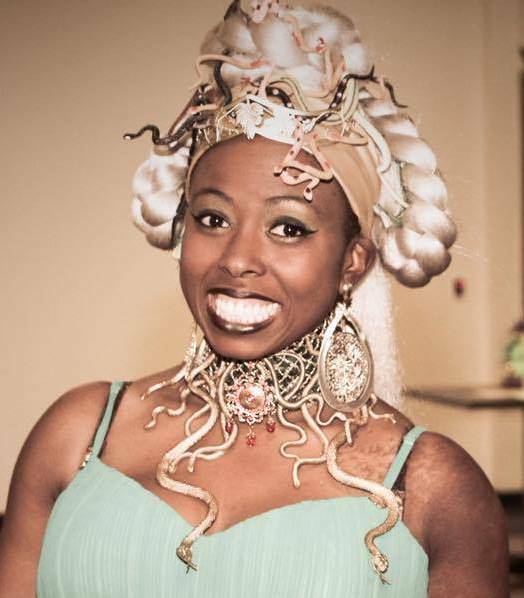 At this point, I can start planning for faire. I’ve already penciled in a shopping trip for April, so I’ll start drafting our noble outfits next week. I want to do the husband’s ensemble first, mine second, leaving the Tiny Princess to bring up the rear. Provided there are no snags (HA! ), I’ll insert a working class get-up for the husband before my gown and insert a playtime outfit for the Princess before I settle into her good stuff. I think that’s all for this episode, aside from some OT recommendations–read Joe Abercrombie’s First Law series, and listen to the Operation: Geek Podcast. UPDATE: I can’t believe I forgot this! After I finished the scarf, I added the waistband to the white petticoat that was originally a mock-up for the black working class skirt. As per my usual, I’ll hem it before I wear it. Previous Previous post: No, wait, don’t go!